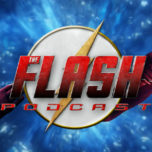 On the carpet THE FLASH and ARROW at Paleyfest LA 2015, we had to ask about whether the theory of multiverses exists in the current continuity – and see if we could get to the bottom of how Sara Lance can exist in the spinoff. We also talked to Andrew Kreisberg about the upcoming “mini” crossovers between the two shows. 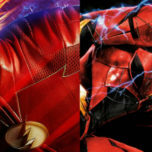 Watch The Flash, Tuesdays at 8/7c on the CW and Arrow, Wednesdays at 8/7c on the CW!